This was created using a free stamp I got with Craft Stamper Magazine. I simply stampted the main image and the hearts twice. I cut the 2nd images out and layered them onto the 1st using foam square/pop dots the inked around the edges to add a bit of extra colour. 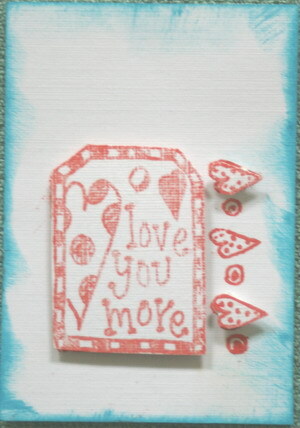 Another simple but fun ATC. A day without scrapping is like a day without sunshine! !